Every meeting has five crucial steps: Conception, Budgeting, Pre-Production, Execution, Post-Production. You can plug us in at any of them and expect the highest quality product. There are production companies that provide sound, others provide Audio Visual Equipment and yet others Audience Response Systems. We are one of a handful of companies that provide a complete catalog of services for every aspect of your presentation. From concept to completion, ESSO Productions is the only company you’ll need. 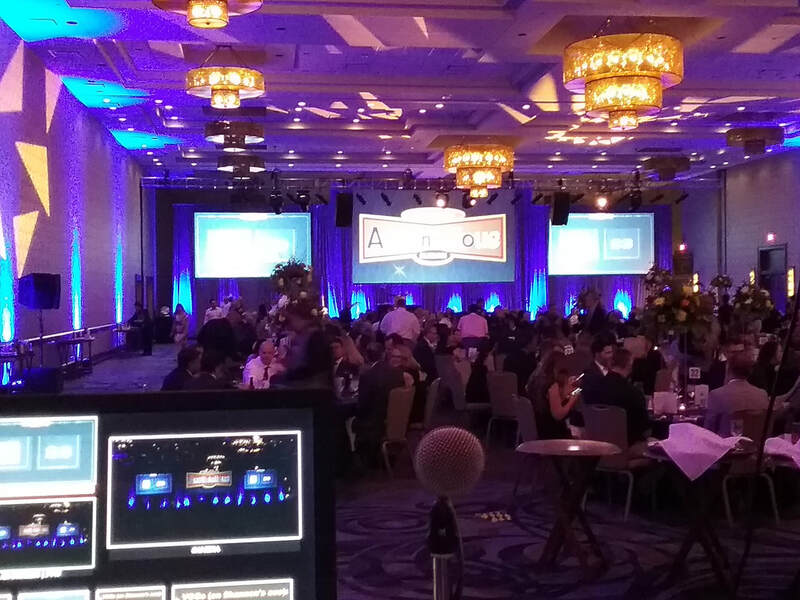 With 20+ years of experience we have been executing corporate events for companies just like yours; discerning businesses that demand both flawless execution and cutting-edge technology. Our ability to create a calm, controlled atmosphere, combined with our adeptness at solving “on-the-fly” problems makes us uniquely suited to what we do. It's one of the reasons we have so many return clients. Managing one meeting is difficult . Managing multiple meetings can be overwhelming. From choosing the right location to negotiating the best rates to arranging logistics, we understand how busy you are. Add audio visual production to that mix and it's enough to send most meeting planners over the edge. We give you the best service in managing your event production needs. Period. You can have peace of mind and actually enjoy the meeting you are planning.